Irrigated farmland is the biggest consumer of Colorado River water. 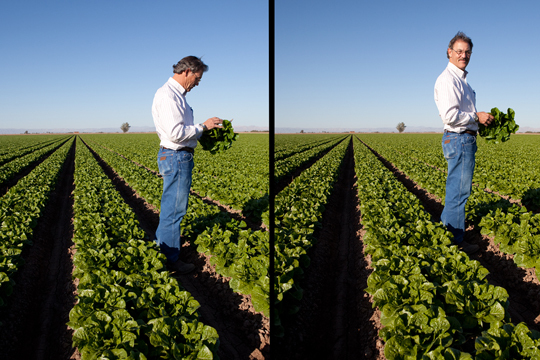 Throughout the Southwest millions of acres are watered to produce water thirsty crops like lettuce, cotton and alfalfa. The dry and warm climate makes several harvests a year possible. So there’s always a big conflict between the opposition that says you shouldn’t grow lettuce in the desert and the farmers that emphasize their productivity.